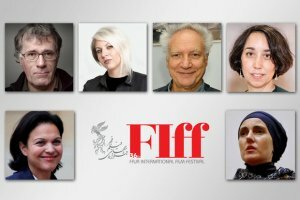 Mehr News Agency – FIFF36 – Celebrating the old and the new, the organizers of the 2018 Fajr International Film Festival have announced the names of special guests. Art director Stella Kaltsou is one of the most established and well-known set and lighting designers in Greece. She has signed the lighting design for numerous productions of theatre, opera, dance and concerts in Europe and Asia. Philippe Ros, AFC – French cinematographer, digital imaging supervisor, consultant and instructor – is a specialist in hand-held camera and ergonomics techniques. He is fully acquainted with digital shooting systems and postproduction workflows. He worked as digital imaging director for five and a half years in the Oceans’ films directed by Jacques Perrin and Jacques Cluzaud. Isabelle Giordano, is the general director of UniFrance and a former French journalist with extensive experience in print, television, and radio journalism. Over the past two decades, she has hosted her own shows on mainstream TV networks in France (Canal +, France Télévisions, Arte). She also hosted prime time morning radio shows on France Inter, one of France’s leading public radio stations. Roberto Perpignani, born in Rome in 1941, studied painting. In 1962, he worked with Orson Welles to edit Through the Land of Don Quixote and, in Paris, The Trial. In 1963, he met Bernardo Bertolucci and they worked together from Before the Revolution ’63 to The Spider’s Stratagem ’70, and in collaboration with Franco Arcalli to Last Tango in Paris ’72. Anna Henckel-Donnersmarck works for several festivals as member of the jury: Saguenay International Short Film Festival Canada 2018, Nordisk Panorama 2017, Tehran International Short Film Festival 2016, Szpilman Award 2013-2014, Curtas Vila do Conde2014, Milano Film Festival 2013, Kurzfilmfest Dresden 2011, Achtung Berlin 2008, and Sehsüchte Potsdam 1999. For more information on the special guest appearance list, check here. Presided over by Iranian film writer and director Reza Mirkarimi, the 36th edition of Fajr International Film Festival will be held in Tehran on April 19-27. The festival is set to welcome over 300 special guests to this year’s edition, ranging from filmmakers to screenwriters, actors to activists. A host of A-listers will attend, including legendary Italian actor Franco Nero and influential American film director Oliver Stone.